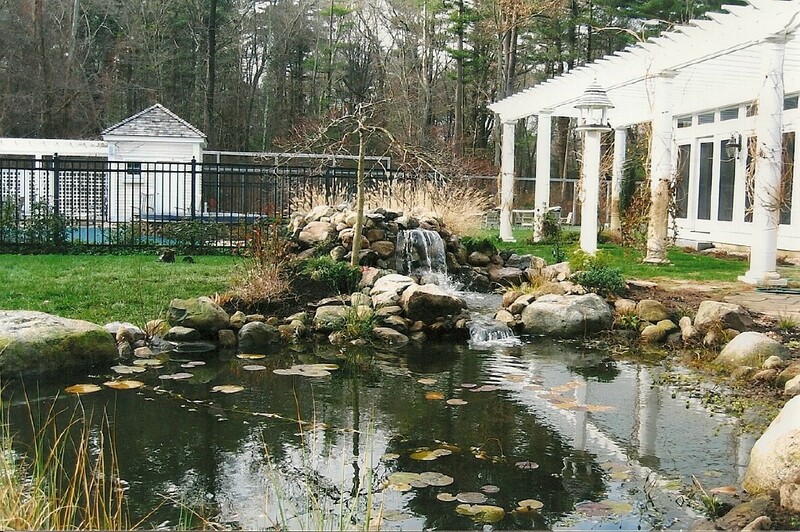 Whether a flower garden, container, water feature or fish pond, we have the experience to give you do-it-yourself advice or provide full design, installation and maintenance service. Stop by or call for a consultation appointment. Please visit Peace of Paradise for more information. cover anything artificial. Dee completeing the detail work. 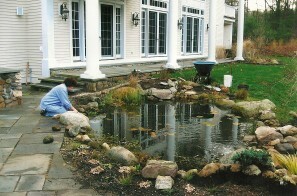 The completed water garden. 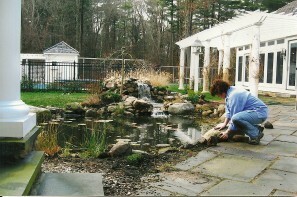 One thousand gallon pond with waterfall. For more information on design and installation please visit Previous Projects, Magical Moon Foundation, Fountains and the Services pages at our Peace of Paradise site.